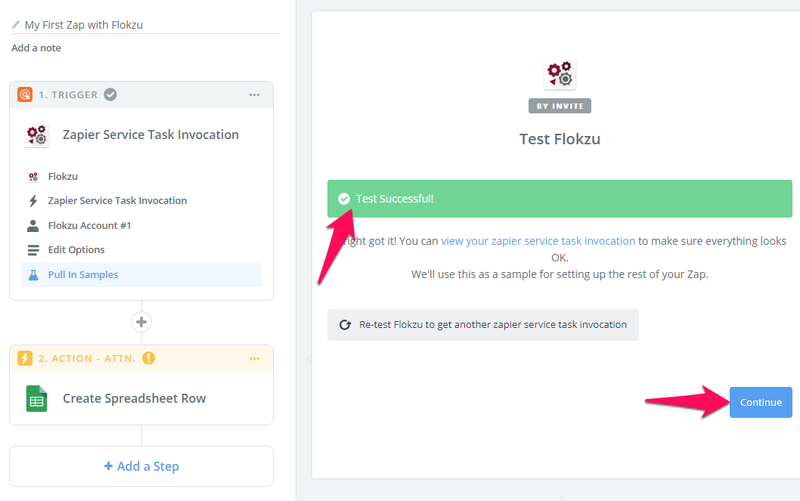 Tutorial Videos – Setting up your processes. 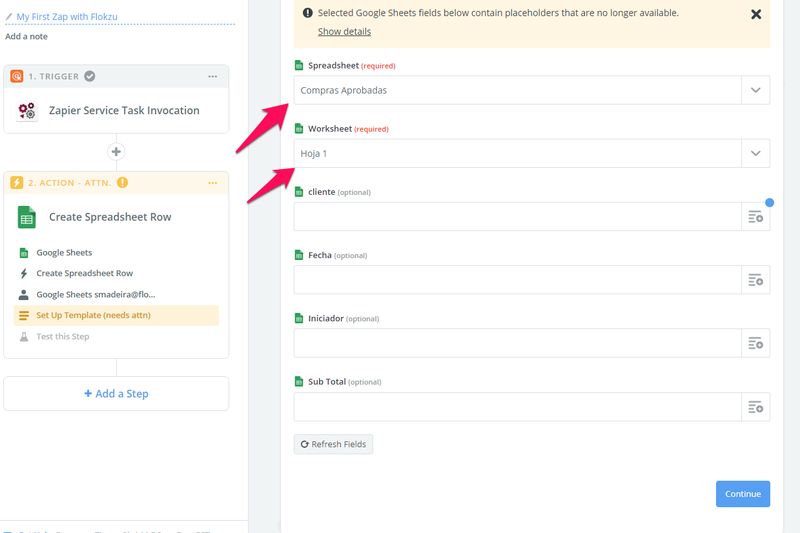 How can I download the documentation of a process? 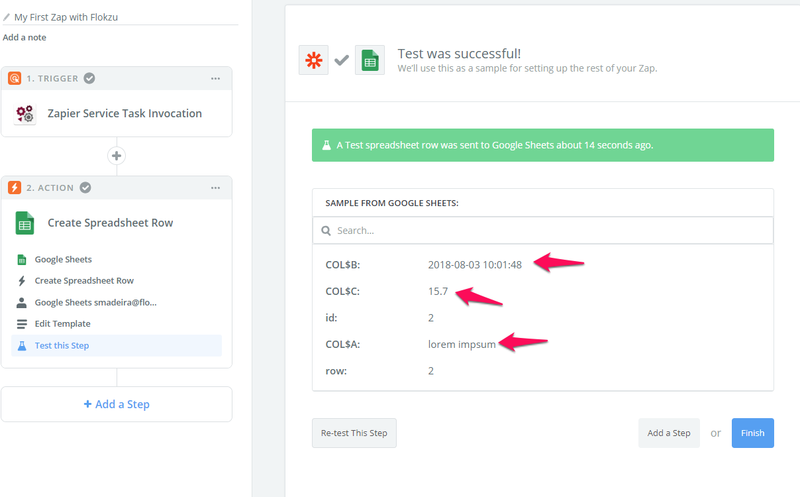 Many times it is necessary to send certain information from the form to a Google spreadsheet. 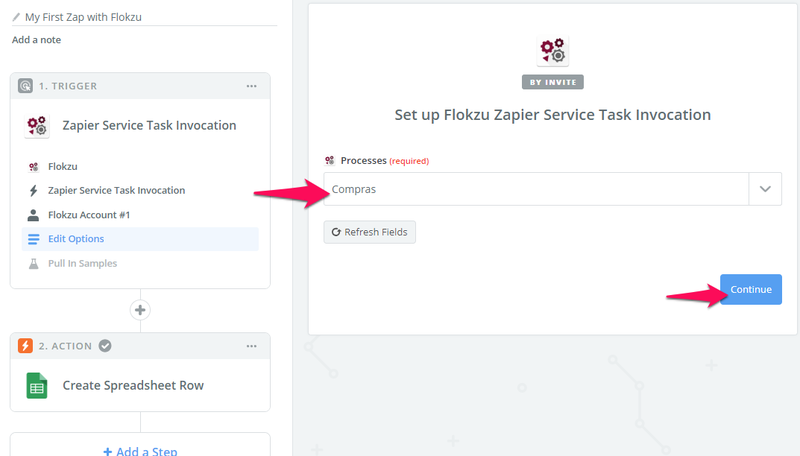 In Flokzu: Add a Service Task in the workflow and select the Zapier option. 1. Select Flokzu as trigger app. 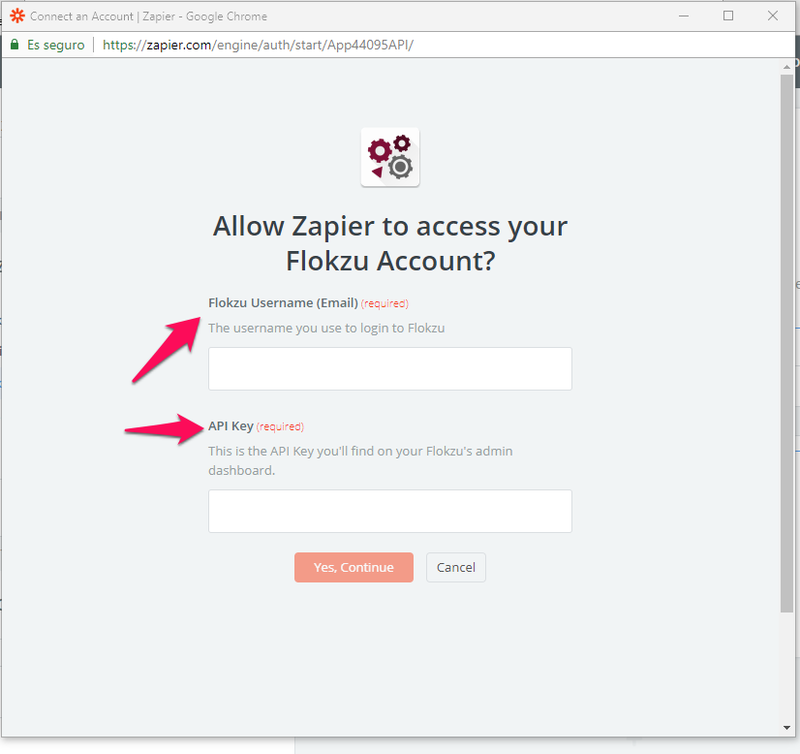 Important: If you have not accepted Flokzu&apos;s invite to join Zapier, check this post. 2. 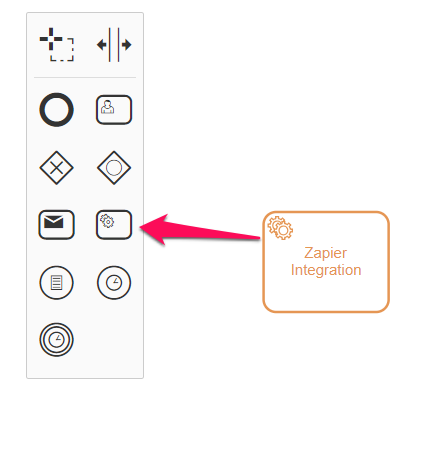 TRIGGER: Select Zapier Service Task Invocation and click on Continue. 3. 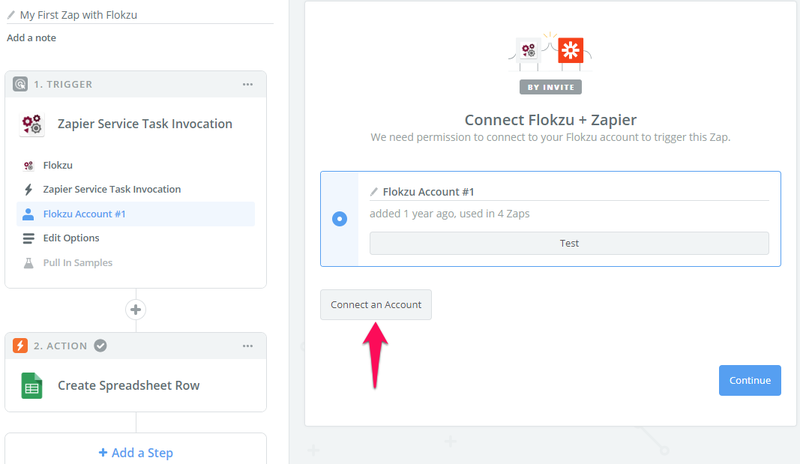 Connect your Flokzu account. 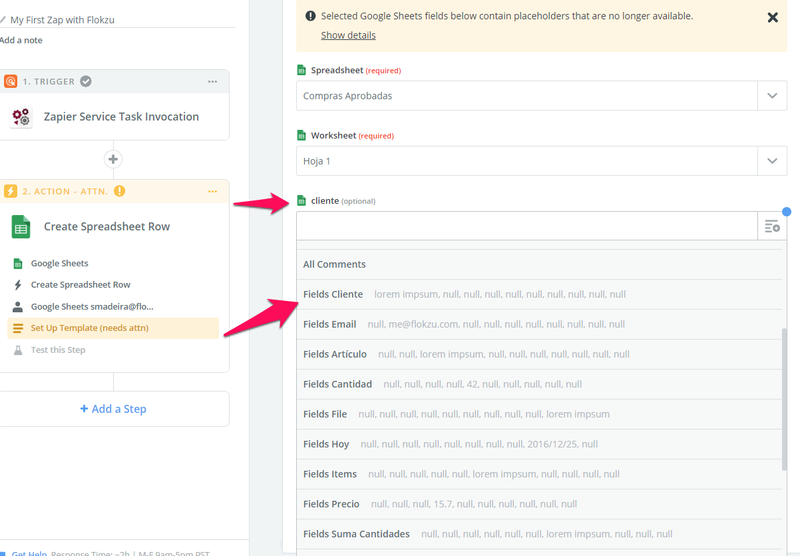 You must do it through your account&apos;s email and API Key. 4. Select the process and test it. 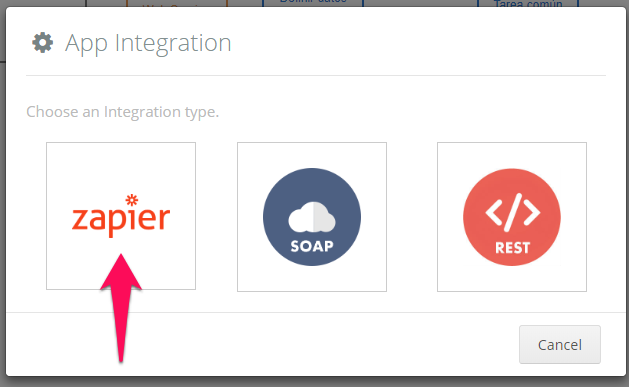 Zapier will check that there exists a Zapier Service Task in the particular workflow. 5. 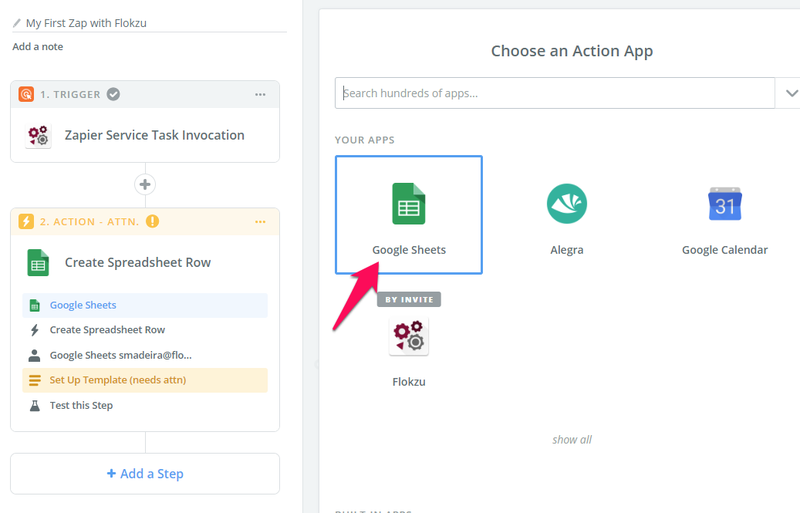 ACTION: Select Google Sheets and choose the action that you want. 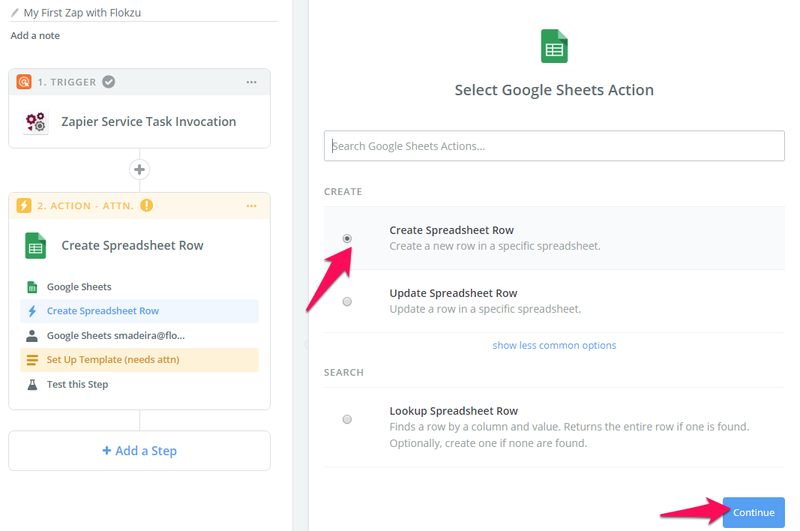 If you want to add information, you must select Create Spreadsheet Row. 6. 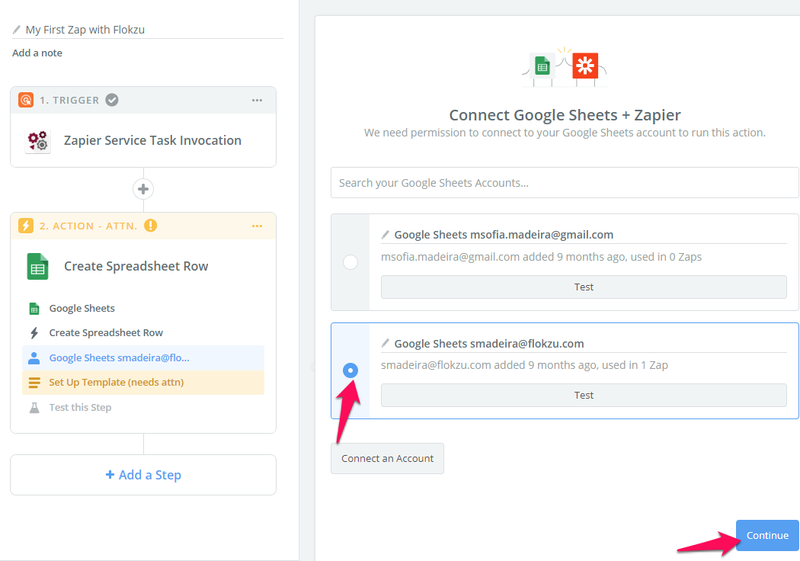 Connect to your Gmail account. 7. 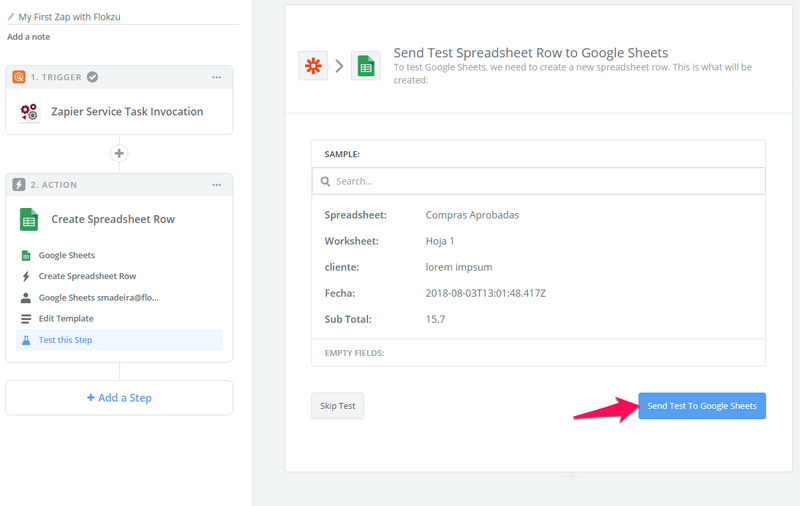 Select the Google Sheet to which you want to send information and set up the data delivery (which field to which column). When you have finished these settings, click on Continue. 8. 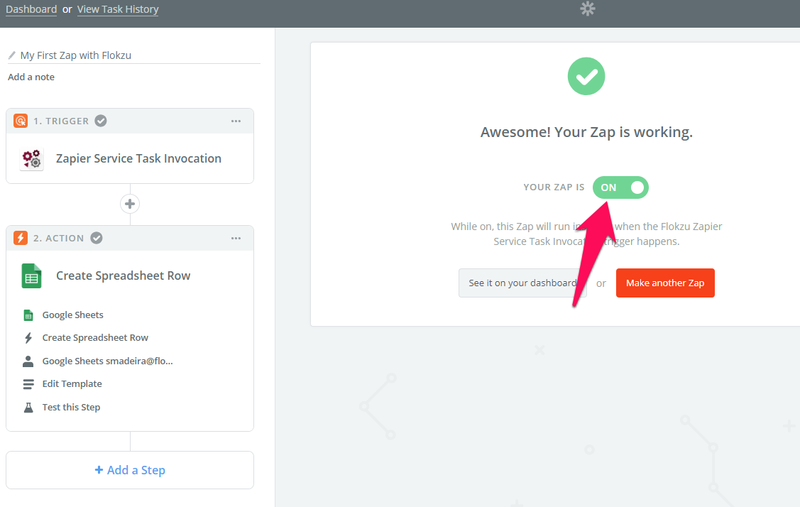 Send the test, name and activate the ZAP.